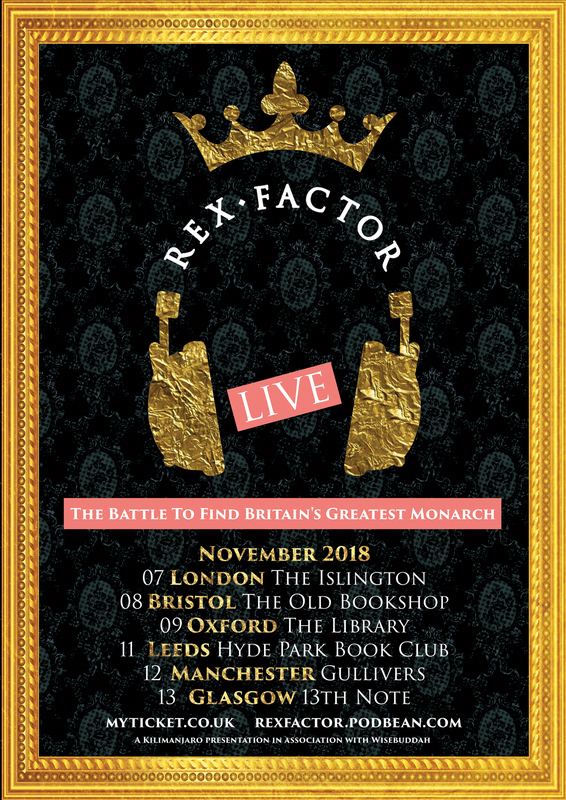 This entry was posted in Uncategorized and tagged Live Tour, Rex Factor Live by rexfactor. Bookmark the permalink. This is amazing news! For those of us who won’t be able to make it to a show, do you guys have any plans to record them and upload them as podcast episodes? We’re definitely recording one of the performances so we will be able to share that one, at least. Why is it over 18s only? We will check with the promoter but I suspect it will be a licensing issue with the venues – nothing to do with the content of the show. Hello, just checking in case you haven’t seen updates elsewhere but we have since learned that under-18s can attend Bristol (if accompanied by an adult) and Leeds!